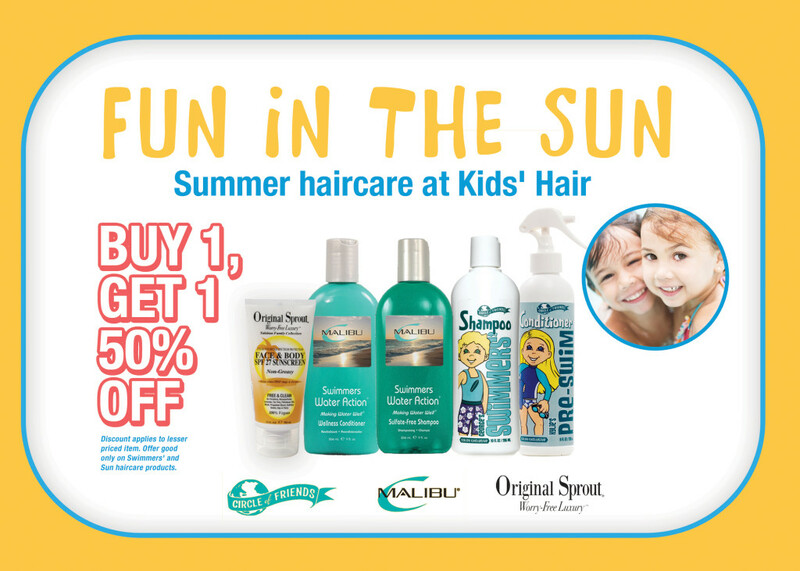 Swim and Sun Haircare | Kids' Hair Inc.
← New Birthday Club partner! Hot days, swimming pools and trips to the beach or lake are just around the corner for families activities! 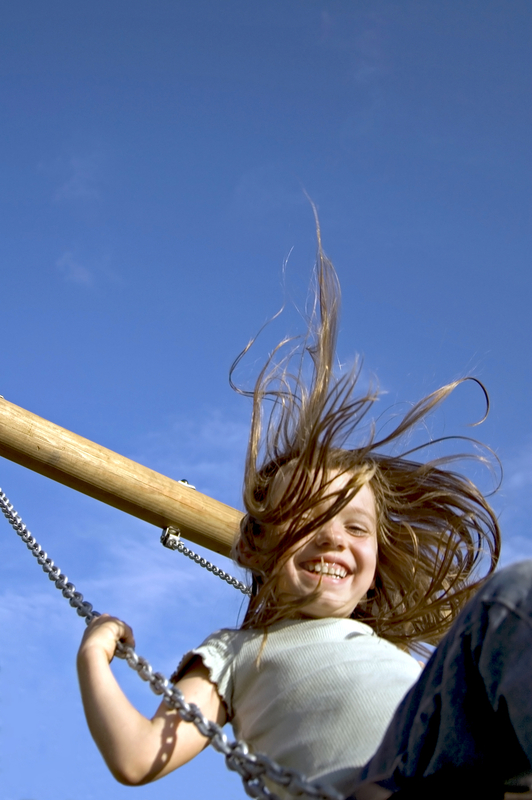 Summer, although fun, can be especially hard on children’s hair. 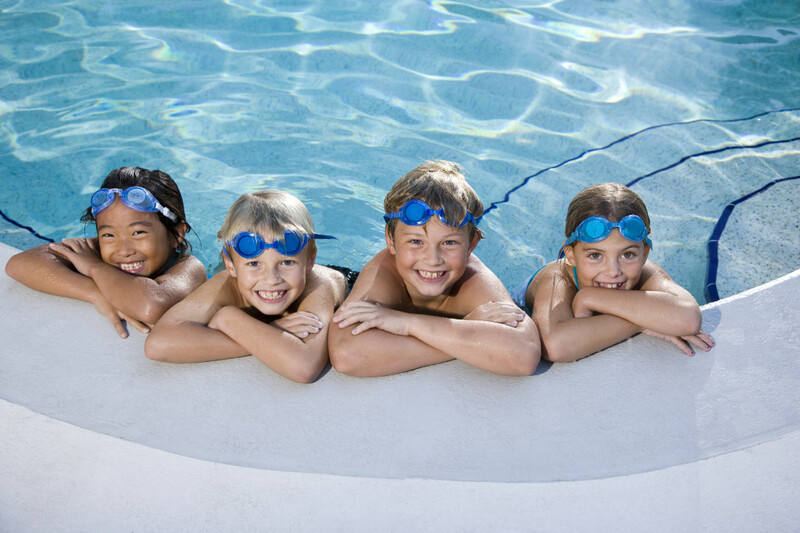 Swimming in pools can damage hair, lake and salt water and sand can be harsh on hair and skin, playing outside for any amount of time, wind or no wind, can leave hair tangled and dry. Parents can do a few simple things to avoid these issues and save time and energy from having to comb through snarled, dry hair or trying to repair or cut chlorine-damaged hair before back to school. Wet hair thoroughly with fresh water. Hair follicles are like sponges, they will soak up what they can. If your hair is full of fresh water, there is less space for the chlorine and other chemicals to permeate. For girls with longer hair, putting it in a simple, tight braid before swimming will help with managing their hair when they come out of the pool. Use a pre-swim conditioner. We carry Circle of Friends Kylie’s Pre-Swim which has an exclusive blend of polymers and vitamins that help protect hair from turning green, breaking or becoming dry. Just wet hair, spray liberally and evenly distribute. Immediately rinse hair thoroughly. You want to take out as much of the chemicals or salt as possible. After a good rinse, shampoo with a clarifying or swimmers shampoo. 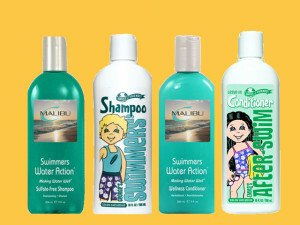 We carry Malibu Swimmers Wellness Shampoo and a Circle of Friends swimmer’s shampoo which is a bit milder and can be better for toddlers or those with really fine hair. Follow with a good conditioner, even a leave-in conditioner to add moisture back to the hair. We carry Malibu Swimmers Wellness Conditioner with a rich blend of proteins and amino acids to strengthen and rehydrate hair and we also have variety of high quality child-specific leave-ins and conditioners if you have a favorite brand. Kids’ Hair also offer an in-salon Malibu Treatment that naturally removes chlorine, minerals and salts. Who needs a Malibu Treatment? For kids with longer hair that swim multiple times a week, a Malibu Treatment once a month can really help reverse and prevent damage. For the casual summer swimmer, getting a treatment before back-to-school is a great way to ensure healthy, soft hair and restore moisture before that fall dry air and wind makes dealing with snarls and tangles even more difficult. Kids love the beach, outdoor sports or the playground? For kids with long hair, always put it up in a braid, pony or bun. This will help cut down on the time it takes to comb through it afterwards. Keep moisture and manageability in hair by using a conditioner, even try using a Leave-in Conditioner. If you are worried about using too much conditioner on fine hair due to heaviness or greasiness, you can always apply it to just the back of the head and length, avoiding the scalp and front. 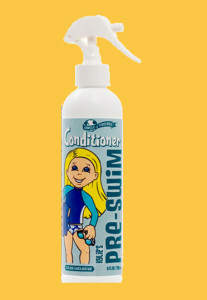 We carry a variety of high quality, kid-friendly conditioners. Try Circle of Friends Marisol’s Melon or Pia’s Pineapple leave-in conditioners, Original Sprout Deep Conditioner or Glop & Glam’s Cake Batter Conditioner. Use detanglers before going outside and during comb-outs afterwards. The best detanglers have vitamins and protein in the ingredients to help strengthen hair. All of our kid-specific lines carry a detangler. Choose the brand or scent you like best! Don’t forget about little one’s skin! We now carry an organic, high quality sunscreen from Original Sprout that is great for the whole family, including babies or toddlers with sensitive skin or those whose skin gets irritated easily by other products. Summer is hard on children’s hair! Make sure you and your family are taking the right steps so that tangled, discolored or damaged hair doesn’t disrupt family fun! If your child’s hair is looking especially dull or dry or is becoming a hassle with too many tangles that seem to get snarly way to quickly, it might be a good idea to come to Kids’ Hair for a Conditioning Treatment. An in-salon “Miracle Repair” treatment that restores strength, shine and moisture, repairing the damage from sun and wind and making hair much more manageable and healthy looking. To spread awareness about how important summer haircare is, we are offering all our Swim and Summer specific products at Buy 1, Get 1 50% Off now through July 6! Visit any of our locations and ask a Kids’ Hair Stylist to learn more about ideas, tips and products you can use for the whole season. This entry was posted in Hair Care Advice. Bookmark the permalink.